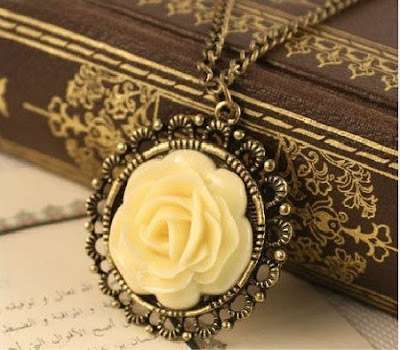 Fashion Vintage Bronze Yellow Flower Rose Necklace - Only $1.89 Shipped! Wow! Check out this fashion Vintage Bronze Yellow Flower Rose Bud Long Pendant Necklace for Only $1.89 + FREE Shipping!